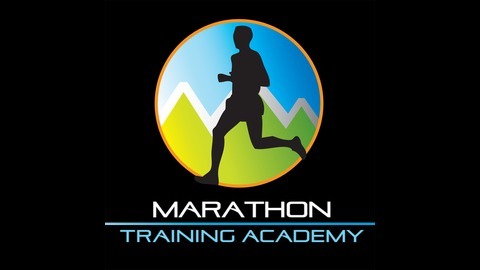 Empowering You to Run a Marathon and Change Your Life. In this episode we give you an inside look at our training for the London Marathon, what we’ve been doing and how it’s working. This will be marathon #57 for me and I’m experimenting with higher mileage. Plus, I’ll explain what I’m doing for strength training and what my morning routine looks like (which is quite the contrast to Trevor’s routine). And in this episode’s quick tip we feature a listener question about rotating shoes during training. For this episode Trevor decided to interrogate me about my training for the London Marathon which is April 28th 2019. As you will hear on the podcast my “A” goal is to finish under 4 hours and my “B” goal is to finish as close to 4 hours as I can. I’ve been experimenting with Hanson’s Marathon Method which calls for lower long run mileage but more running days and longer distance runs midweek. I have also been doing my long runs according to time rather than distance. For example, I’ll run for 3 hours instead of running for a set number of miles. I ran my PR of 3:35:41 (back in 2012) and also qualified for Boston (in 2014) doing only 4 running days per week and typically my body has started to break down if I train with higher volume. But as you get older you typically get better at listening to your body and knowing when it is safe to push harder. So I’ve been increasing my volume this training cycle. I am also doing one yoga session and two core workouts each week. Trevor asked me how many training days I’ve missed in the last four months. If I have to miss a day I will shift my schedule around and make the missed day a rest day (since I always take one rest day per week). So, not counting the rest days, I’ve only missed three scheduled workouts in the last four months due to sickness and traveling to my cousin’s funeral. I love to workout so staying on task with my training is not hard for me. I’m a morning person. Here is my morning routine from the time I wake up until when I start work. Make a pot of green tea and oatmeal with chia seeds, coconut flakes, almond slivers, walnuts, and frozen raspberries and blueberries. Make sure our older sons (age 14 and 12) get on the bus at 7:10am. Help my youngest son (age 8) with his morning routine until the school bus comes. Finish my morning tea and read a non-fiction book for a few minutes. Out the door to run and exercise between 8:30-10:00 (unless it’s a long run day which means I may be gone a longer period). Shower, have a morning snack, and start work to get as much done as I can before the kids arrive back from school. One thing that I’ve discovered after 10 years of marathon training is that you still learn something about yourself whether you’re training for your first marathon build or your 57th marathon. Long distance running has a way of building up your confidence while still keeping you humble. An example of that is how we talked about avoiding chafing during the quick tip on our last episode. Two days later I got some ridiculous chafing near my collar bone from the zipper seam of a running jacket. I just had to laugh! One challenge of running a spring marathon is that the weather you train in can often change drastically halfway through. For much of the training cycle you may be dealing with winter weather challenges and then one day spring arrives and suddenly you’re overdressed and sweating profusely. You may have trained mostly in cold weather (or warm for our friends in the Southern Hemisphere) and then you’re presented with totally opposite conditions on race day. Sometimes the body has some difficulty switching over from conserving heat to being able to sweat and cool efficiently. This can present a challenge if you have warm conditions on race day so it’s important to be flexible and realize that we can’t control for every outcome. For a Type A personality like myself this can be a challenge but that’s often how many situations in life are. Marathon training can teach us great lessons about being flexible and adjusting to uncertainty. We installed an extra shelf in our hall closet just for running shoes! Thanks for the great question! I’m sure many runners are wondering the same thing about shoes. When I was training for my first marathon I only used one pair of shoes and struggled on a number of levels. Since that time I’ve seen the value in rotating through different types of shoes in training. I definitely advise runners to have at least two different types of shoes in your rotation and there seems to be evidence to back this up. Researchers in Luxembourg studied 264 adult recreational runners. They gathered information on training volume, injury rate, cross-training, shoe usage and other variables. Of the 264 runners, 116 were classified as single-shoe wearers: runners in this group did 91% of their mileage in the same shoe, and ran in an average of 1.3 pairs of shoes during the study. The other 148 were classified as multiple-shoe wearers: runners in this group tended to have a main shoe, which they wore for an average of 58% of their mileage, but they rotated among an average of 3.6 pairs of shoes for their training during the study. If you keep multiple shoes in your training rotation it’s a wise idea to match them to the particular surface or type of run that you’ll be doing. For example, I tend to “retire” shoes from long runs after they hit around 250 miles because they tend to feel flat and leave my legs feeling more fatigued. Then I’ll use them only for shorter runs until they reach around the 400 mile point (the actual mileage that I retire shoes varies depending on the model). I also like to keep a pair of trail shoes in the rotation for running in snow, trails, or gravel/dirt roads. I usually save my lightest pair of shoes for speed work and treadmill runs. Another benefit of rotating your shoes kicks in when a company changes or discontinues your favorite shoe. That can cause a panic if they’re the only type of shoe that you run in. I used to run exclusively in Asics Nimbus until they changed the model a bit and it no longer worked for my foot. What followed was a very angsty period where I frantically tried to find my new favorite shoe. This uncomfortable period included running a marathon in a shoe that made my feet go numb. Since that time I’ve always kept at least two different types of shoes in my line-up. Given the evidence that rotating between more than one pair of shoes can reduce your chance of injury and also prolong the life of the shoe (partly because the cushioning has a chance to rebound between uses) it also makes financial sense for the average runner. Don’t wait until your current shoes are worn out before purchasing a new pair. Instead, work a new pair into the rotation midway through the mileage you usually put on your trainers so that you don’t end up with worn out and brand new shoes. We get a lot of questions from runners wondering if they should wear a brand new pair of shoes for their marathon or a worn out pair. By planning ahead you can avoid this dilemma. Store shoes carefully away from extreme heat and cold. Don’t pile heavy boots or gear on top of shoes which can collapse the uppers. Hand wash if needed as many performance components of the shoes aren’t meant to go through a washer and dryer. Instead you can use a stiff brush to get off crusted dirt and then use baby wipes or a little soap and a damp rag to clean. Dry wet shoes by taking out the insoles and lightly packing with wadded newspaper (replacing when it becomes damp). Putting them by a heater or radiator can cause damage to the shoes. I’ve read that it’s not a good idea to stockpile more than 2 years worth of shoes at once as midsole life is often limited and some materials may start breaking down. Give each shoe a 48 hour break between wearing to allow the foam to decompress. Untie shoes between wearing them instead of jamming your foot in and out without untying. Keep track of the mileage on your shoes so that you know when to rotate them out of your long run line up and use them only for shorter runs. helps people maximize their athletic performance and speed muscle recovery. Applied directly to the skin above the desired muscles for targeted relief. Get a 10% discount by using the promo code MTA. NuNee Device -designed specifically to relieve that dreaded Runner’s Knee pain. Use code MTA20 for a 20% discount. On Running Shoes – The clean and minimalistic design as well as its sole technology gives you the sensation of running on clouds. Try a pair of On’s for yourself for 30 days and put them to the test – that means actually running in them before you decide to keep. BioLite Headlamp 330 -ultra-thin, super bright, NO-BOUNCE headlamp that’s so comfortable, you’ll actually forget you’re wearing it. Use code MTA at checkout for 15% off. MetPro -Using Metabolic Profiling, MetPro analyzes your metabolism and provides you with an individualized strategy to obtain your goals. The John Muir Trust -help us plant 262 trees! Resurrected Runner -creator of parody songs for runners. 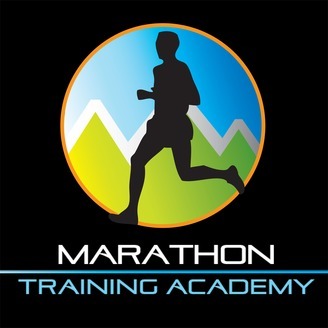 The post A Look at How We Are Training for Our Next Marathon appeared first on Marathon Training Academy.